Going to Walt Disney World to celebrate our anniversary has become a tradition for us, so this year there was no question where we wanted to celebrate our 15th!!! 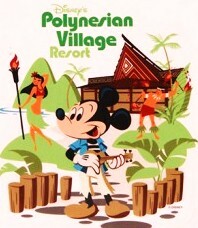 the Polynesian Village Resort is our 'home'. After reading about all of the changes made to the resort in the past year, we were wondering whether it would still have the same South Pacific laid-back feel and comfort to it. As soon as we approached the waterfalls in the front of the Great Ceremonial House we knew that it was still the same wonderful place, just with some fairly major changes to the lobby and the entire "backyard". 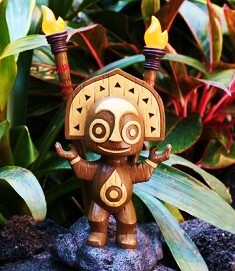 It still has the same pool footprint, but all new landscaping plus a few additions like the Kiki Tiki Kid's Pool area; Trader Sam's Grog Grotto and Grog Terrace, the Pineapple Lanai that serves Dolewhip and Dolewhip floats. There are a lot more lounge chairs and tables with umbrellas on the pool deck. Since we had 8 full days to enjoy, this was a very relaxed, but very special trip where we tried a few new experiences as well as some of our old favorites. Below are the links to the resort, restaurants, and parks. Please enjoy!